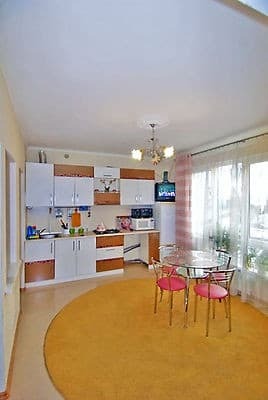 The apartments are located in the city center, next to the waterfront, a 5-minute walk from Massandra beach, 10 from Lenin Square, next to McDonald's. One-room apartment with a sea view. The spacious and bright kitchen is equipped with a sofa bed, dining table, refrigerator, microwave, gas stove, necessary utensils. The apartment has independent heating, air conditioning, uninterrupted water supply. To services of residents - access to a network of Wi-Fi, parking in the street. Near the apartment there are cafes, bars, restaurants and playgrounds. The distance to the bus station in Yalta is 2.7 km; before Simferopol - 79 km. PRICES MAY CHANGE, IT IS REQUIRED TO RECEIVE INFORMATION FROM THE OPERATOR. 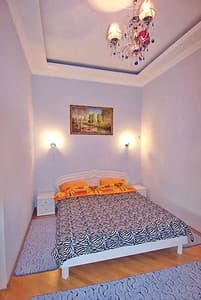 Description of the room: In the bedroom there is a large double bed, a wardrobe. In the bathroom: mirror, shower, washbasin, toilet. Accommodation 2-4 people. Children under 3 years stay free of charge. The apartments are located in the center of the city, near the beach of Massandra, where there are cafes, bars, restaurants and playgrounds. 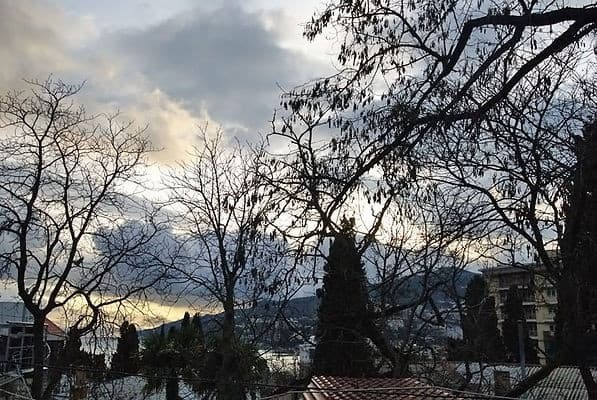 The distance to the bus station in Yalta is 2.7 km; to Simferopol - 79 km. From the railway station of Simferopol on any transport to Yalta. Near the railway station of the city of Simferopol (exit to McDonald's, in the direction of the tower with a clock) are auto- and trolleybus stations. From there, by regular bus, fixed-route taxi or trolleybus number 52 you can get to Yalta in 1,5-2,5 hours. By car: from Simferopol, go along the M-18 highway to the Angarsk pass, then through Alushta - on the upper intercity route (landmark, so as not to get lost in Alushta - the wires of the intercity trolley bus), then go along the upper, intercity route (M-18) along the whole The Juba is still 41 km to Yalta. There is a transfer from the Yalta bus station (the service is free).